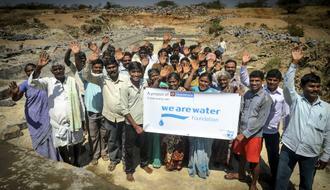 Provides sanitation facilities to more than 30,000 beneficiaries. In 2015 it was estimated that 2.4 billion people globally had no access to improved sanitation facilities and, 946 million defecate in the open. There are 564 million people in India and 61% of them from rural areas defecate in the open space; it is practiced among all socio-economic groups. Ending open defecation is not only about the access to but it is to generate demand for toilets and getting everyone to use them every single day. 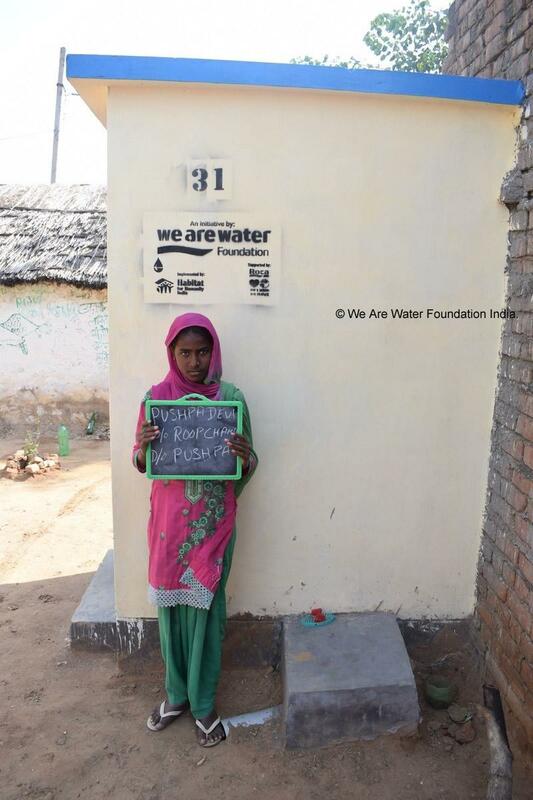 Access to decent sanitation facilities is essential for development of women and children. It also enhances security and sense of dignity and contributes to national progress. To improve the health safety and dignity of the community, by providing 660 household toilets to families in villages of Bhiwadi, Alwar with a focused approach of providing better sanitation facilities benefiting 5000 individuals in remotest of areas. More than 3,000 people are sensitized on adequate and appropriate toilet use and promote good hygiene practices. Accelerate sanitation coverage in rural areas to achieve the vision of Swachh Bharat and spread awareness on hygienic sanitation practices across India. 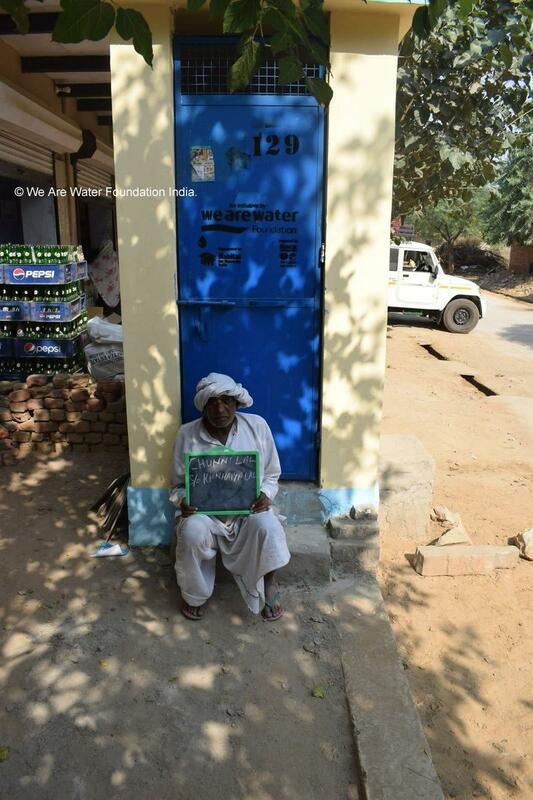 Rajasthan is one of the most socially backward states as per the National data on states and districts. Rural Rajasthan has low social and economic development. The status of sanitation is also very low in the state and open defecation rate if also high. The project aims to facilitate individual household toilets in the selected villages so that open defecation can be stopped and a ripple effect can be created in the target blocks to replicate social model in future. 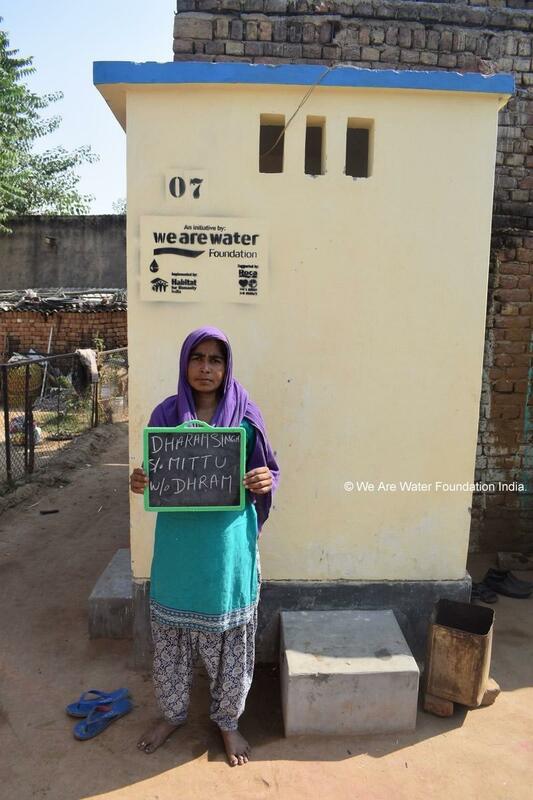 The sanitation program supported by We Are Water Foundation is aligned with ‘Swachh Bharat Abhiyan’ and aims to construct 660 toilets for the people who are practicing open defecation in the villages of -Bhiwadi, Alwar District in Rajasthan due to dearth of financial capacity and unawareness on healthy practices related to sanitation. 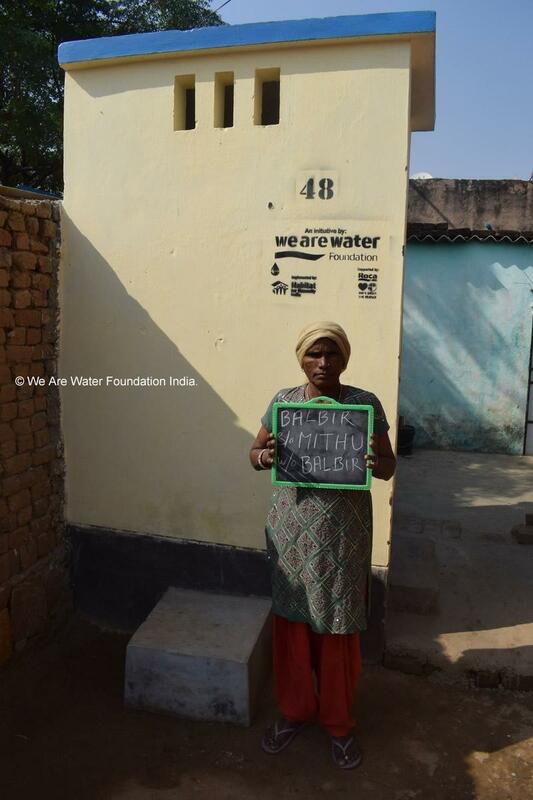 WAWF India in support with implementation organization constructed toilets and provide technical assistance along with keeping special focus on behaviour change and community awareness to ensure use of sanitation facilities. 660 families will have access to functional household toilets and open defecation will be curbed. More than 5000 individuals, in remotest of areas, enjoy the accessibility to toilets and also privacy and are sensitized on proper use of sanitation, hand wash and general best practices in health Improved health status of village people, mainly children and women. More than 3000 people are sensitized on adequate and appropriate toilet use and promote good hygiene practices. Accelerating the process of global sanitation coverage in rural areas. Reducing open defecation, in order to minimize the contamination of drinking water sources and food, at the same time protecting the privacy and dignity of women and children. Promoting health education and awareness on sanitation facilities, clean and healthy habits along with personal hygiene, among the target communities. Project strengthens VHSNC (Village Health and Sanitation Committee) at village level and working group who can monitor the activities on the routine basis as well as project staffs will support for training –implementation and report with the feedback and final evaluation of the project. 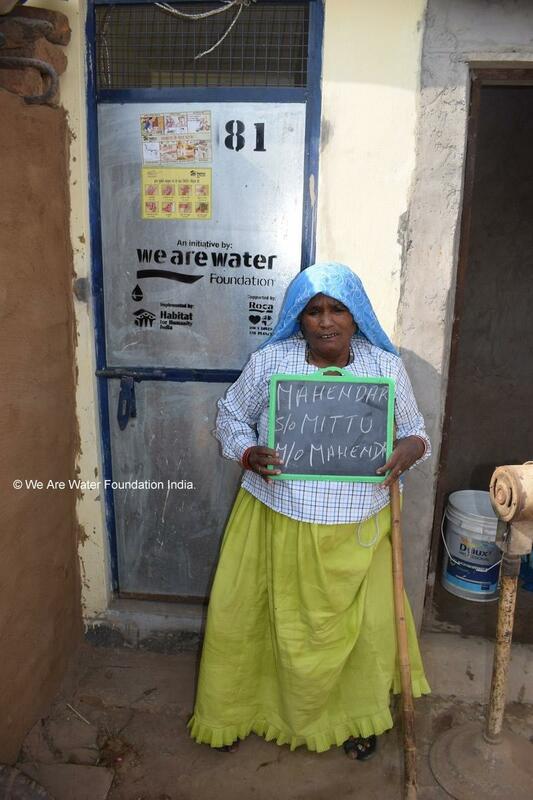 Project closely works with the local Government for the sustain approach with Water committee at village level for villages. Individual toilet survey was organised for the defecation in selected villages and after the completion, the same exercise will be repeated for monitoring and measuring the impact with local VHSNC. 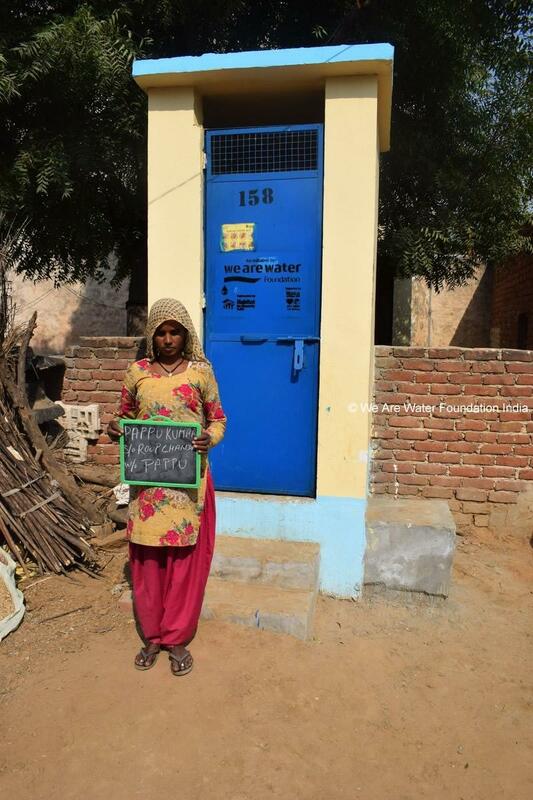 School Sanitation facilities for girls students in Alwar (Rajasthan), Chennai and Ranipet / Vellore (Tamil Nadu), India.